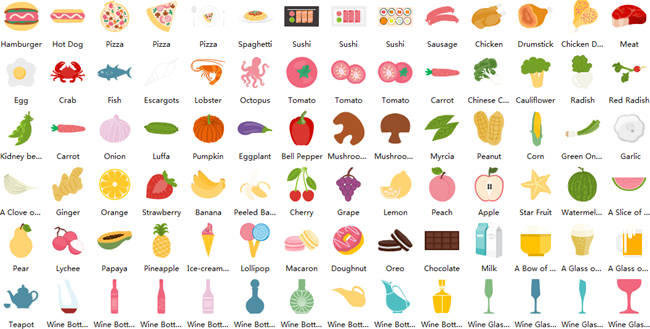 A large collection of vector clipart pictures of food which are readily available, highly scalable, color changeable and printable. 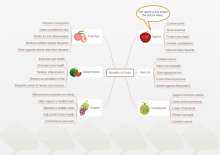 Use clipart pictures in various fields to bring life into your documents. From Edraw, you'll be getting high quality clipart of various types in vector format such as food for less than a cup of coffee. 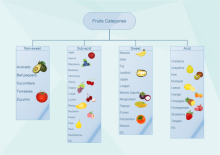 It offers a great source for free clipart not only for students, teachers and parents, but also for designers and for everyone. Vector clipart pictures support flexible zooming while remain high resolution, no blurred image any more. 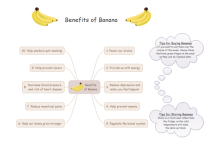 For its nature of visualization, Edraw's clipart pictures can be applied to promote communication and boost creativity. Here are some cases of clipart application. Last but not least, in daily life, everyone can actually benefit from clipart to some extent, such as deploy it to beautify presentation slides, and print a picture to decorate rooms and so on. Check out some pre-formatted example below. Click the picture to download it for your own use. 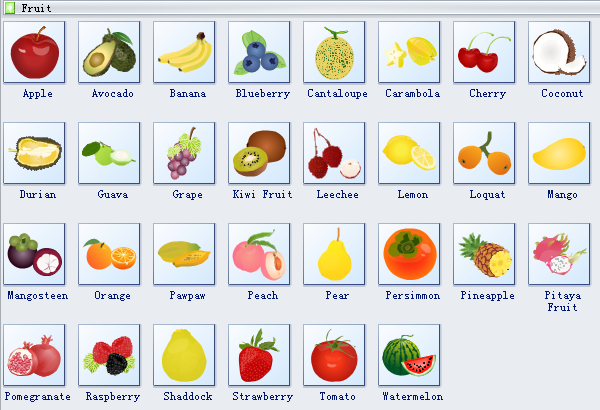 A large collection of food clip art will be added in the next version which will be published soon. Remember to upgrade your program to access over 10,000 vector shapes. 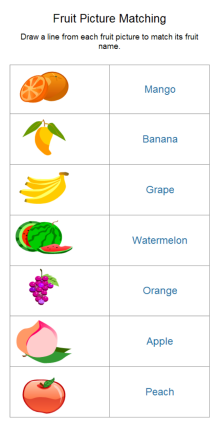 The application of food clipart includes but not limited to the above mentioned areas. 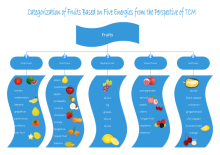 In a word, such vivid ready-to-use clipart pictures can make life better by advancing information visualization.